Who are the Windy City ThunderBolts? 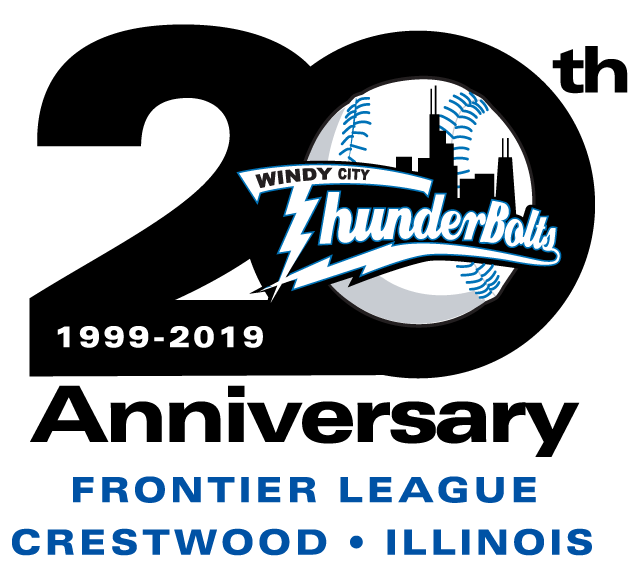 The Windy City ThunderBolts are a professional minor league baseball team located in Crestwood, Illinois, and are entering our 21th season in the Frontier League in 2019. The ThunderBolts won the Frontier League championship in 2007 & 2008 becoming only the second team in league history to win back to back championships. The ThunderBolts are the minor league team of Chicago's SouthSide and the Southwest suburbs. We were formerly known as the Cook County Cheetahs, but in 2004 we received a new ownership group, name, mascot, and a new look at minor league baseball. The Cheetah/ThunderBolts franchise has existed since 1995. 2019 will be the organization's 25th season overall and in those years the club has gone through three leagues, three stadiums, two names, five playoff appearances, and three championships. For more information on the history of the club please go to the Team History page on this website. How long has the Frontier League Existed? In the winter of 1992-1993, several men got together and decided to start an independent professional baseball league to serve the West Virginia, eastern Kentucky and southeast Ohio areas. They believed they could bring professional baseball to areas that would never have a chance of affiliated professional baseball coming to their communities. The seed was planted and they named their project the Frontier League. These founders approached business people and interested individuals in many different cities about owning and operating the franchises. In late June of 1993, eight cities began play in high school, college and municipal parks. College players quickly heard of the fledgling league and mostly came from the Midwest and East Coast to chase their dreams of playing pro ball. Currently, the Frontier League has ten operating organizations throughout the United States. The league set records for attendance with more than 1.54 million fans visiting the ballparks in 2013. These teams are located in Illinois, Indiana, Kentucky, Missouri, Ohio, and Pennsylvania. The Frontier League is now the oldest professional independent league in the country. 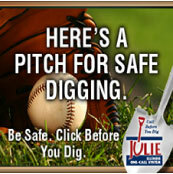 The teams in the Frontier League are not affiliated with Major League organizations. However, any of the Major League clubs can sign Frontier League players and put them into their own minor league systems. All 30 Major League Baseball teams have signed Frontier League players. The Cubs, Mariners, Royals and White Sox currently have former ThunderBolts' players or coaches in their organizations. There are 32 players who have reached the Major Leagues after playing in the Frontier League, including the Cook County Cheetah’s Chris Oxspring (with the San Diego Padres in 2005), ThunderBolts' pitchers Dylan Axelrod (White Sox (2011-13) and Reds (14-15)), and Andrew Werner (with the San Diego Padres in 2012). The Frontier League has over six hundred former players who have been signed into affiliated ball. The Frontier League has moved more players into Major League Baseball organizations than any other Independent League, and more MLB players made their professional debuts in the Frontier League than any other Independent League. The ThunderBolts organization is the team to play for if you want to get noticed as the club has had over 60 player contracts sold to Major League organizations, easily most in the Frontier League. Where do the Windy City ThunderBolts play? The ThunderBolts play at Ozinga Field which is located in Crestwood, IL. Ozinga Field is easily accessible from the south suburbs, as it is two blocks east of Cicero Avenue on the Midlothian Turnpike, just 1.5 miles south of I-294. Catered picnic areas and skybox suites are available for rental and are great for group outings. There are three concession stands with a wide menu as well as a grill and beer garden. Ozinga Field also features one of the few upper decks in minor league baseball. The Frontier League is the premier independent development league in the country. Only one player on a roster may have turned 27 by October 1st of the year in which they wish to play. All other rostered players can not have turned 27 by October 1st of the year in which they wish to play. For 2019, all players must have been born on or after October 1, 1992. Over 65% of the players in the Frontier League enter with previous professional experience, with the remaining having recently completed four years of college baseball. They are paid to play and come from all over the country and even outside the United States. At this level, the players always play hard and have a strong passion for the game. The ThunderBolts 2019 regular season consists of 48 home games and 48 road games (a total of 96), running from May 9th to August 31st. The Playoffs start on September 3rd.